Teddy bears are always admired because they are adorable, fluffy and huggable! They are reminders of our innocent carefree childhoods. 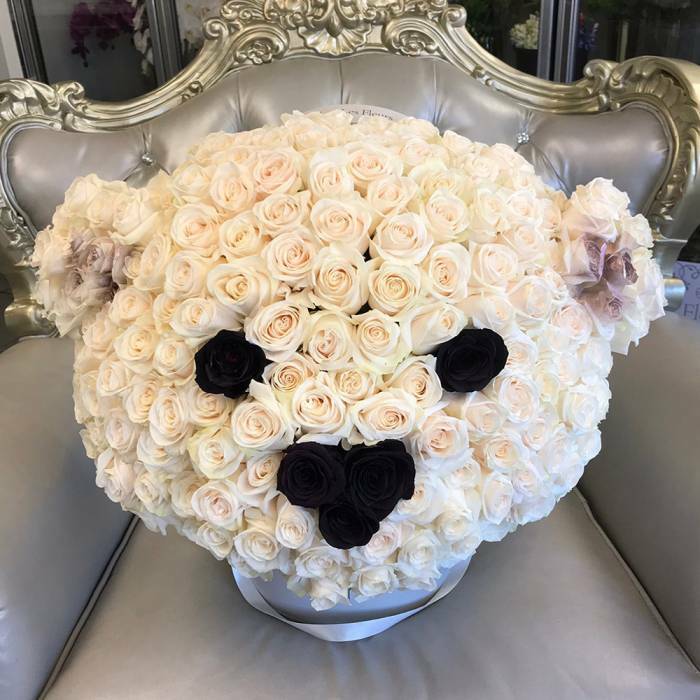 JLF was able to create a teddy bear with 200 fresh roses! This beautiful masterpiece will surely make your loved one the happiest person ever. The arrangement in the photo is in our Large size box.